Awenson is the alter ego of Joel Bernard one of France's finest Berlin School artists. He released already under the name Awen and Awenson the great albums "Shadows ", "Saphonic" and "Wizard". "HOPE" takes his music to a new high, nice long Berlin School track that evolve into a mesmerizing sound expirience. Pure Sequencing and great soloing with FX and swirling strings and sounds. 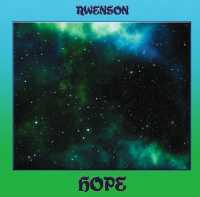 This is Awenson's very first release on Groove Unlimited. And I am sure may will love this release!